One of the most amazing musical duos of the 60s – presented here in a double-length set of unreleased recordings! 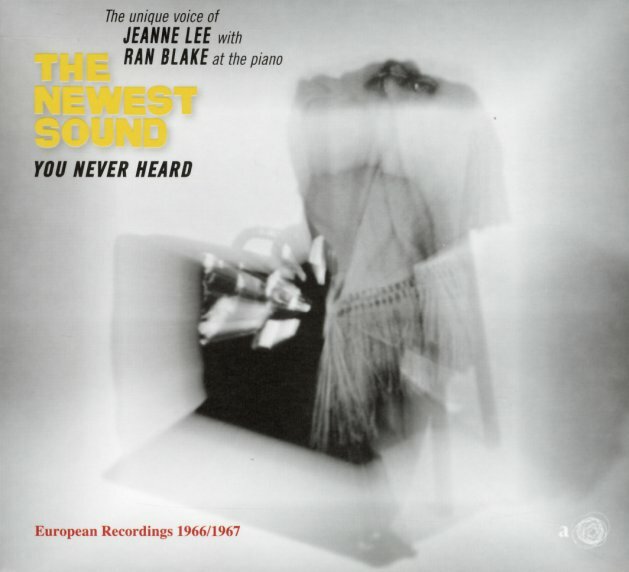 Pianist Ran Blake has gotten some great acclaim over the decades – and strong attention in more recent years as well – but some of our favorite work by Ran is still his 60s pairing with singer Jeanne Lee – just about the only voice who could match Blake's enigmatic shifts in tone and timing, with results that often move way beyond conventional jazz! When straight, Jeanne's a hell of a soulful singer – with a quality and depth that allows her to take off and do all these freer flights and experiments – a mixture of skill and confidence that might mark Sheila Jordan at her most adventurous, but which is handled here in a very different mode – thanks in very large part to the flurries of notes and waves of sound that issue forth from Blake's fingers on the piano. The pair recorded one well-known album on RCA in the 60s – with a title that's similar to this one – but this package features a full 2CDS of material from European performances in 1966 and 1967 – 33 tracks in all, with titles that include "The Frog The Fountain & Aunt Jane", "Out Of This World", "Hard Day's Night", "Birmingham USA", "Beautiful City", "On Green Dolphin Street", "Misterioso", "Spring Can Really Hang You Up The Most", "Something To Live For", "The Man I Love", "Night & Day", "Something's Coming", "Parker's Mood", and "Smoke After Smoke". © 1996-2019, Dusty Groove, Inc.